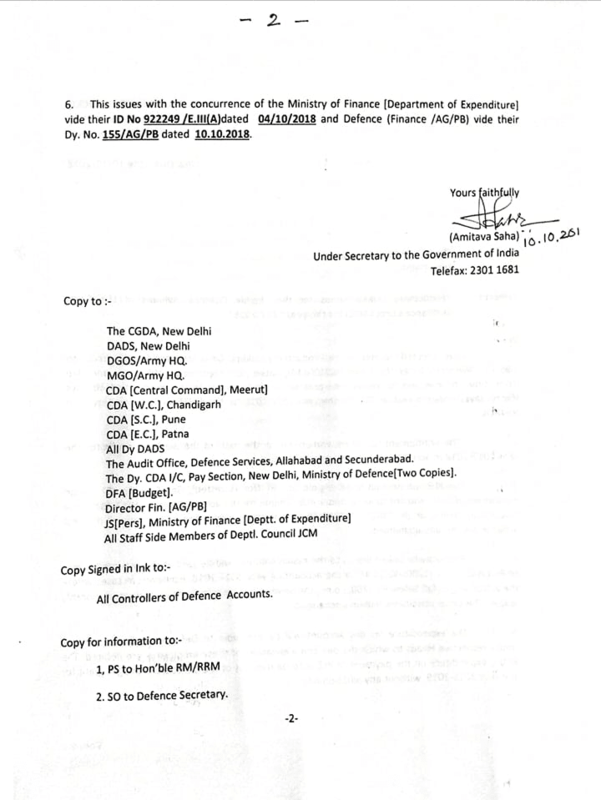 I am directed to refer to the Productivity Linked Bonus Scheme already circulated vide this Ministry’s letter No. 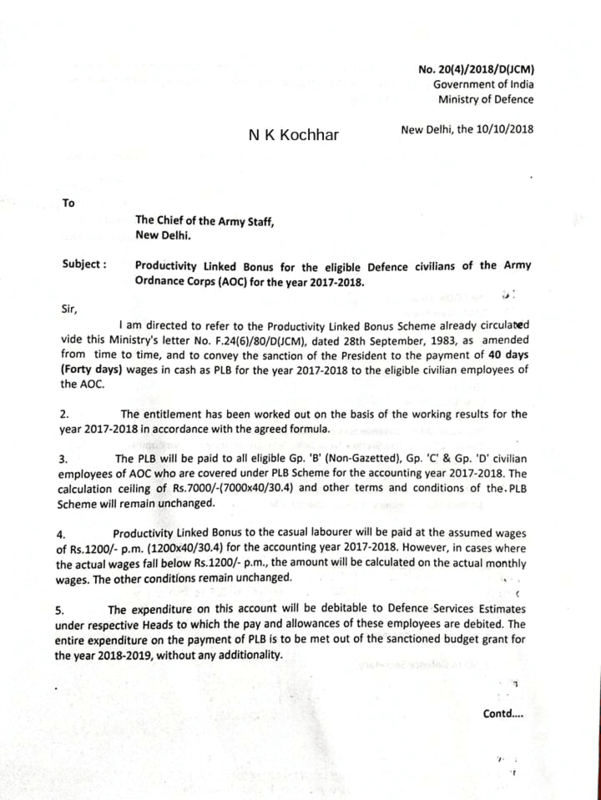 F.24(6)/80/D(.JCM), dated 28th September, 1983, as amended from time to time, and to convey the sanction of the President to the payment of 40 days (Forty days) wages in cash as PLB for the year 2017-2018 to the eligible civilian employees of the AOC. 3. The PLB will be paid to all eligible Gp. 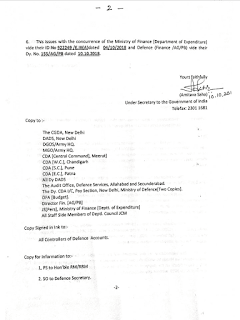 ‘B’ (Non.Gazetted), Gp. ‘C’ & ‘D’ civilian employees of AOC who are covered under PLB Scheme for the accounting year 2017-2018. The calculation coiling of Rs.7000/-(7000×40/30.4) and other terms and conditions of the. PLB Scheme will remain unchanged. 5. 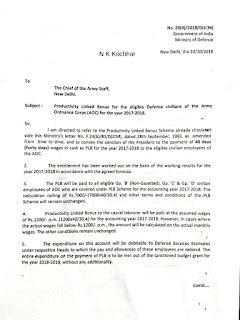 The expenditure on this account will be debitable to Defence Services Estimates under respective Heads to which the pay and allowances of these employees are debited. The entire expenditure on the payment of PL8 Is to be met out of the sanctioned budget grant for the year 2018-2019, without any additionality.